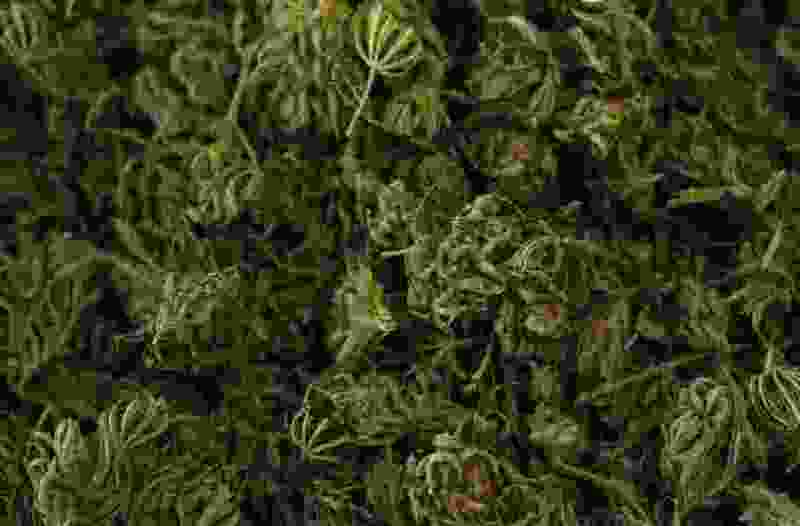 (Leah Hogsten | Tribune file photo) Marijuana cultivated by the Colorado Springs non-profit Realm of Caring Foundation on October 25, 2014. The Church of Jesus Christ of Latter-day Saints has once again released an analysis on the risks and ramifications of Utah’s Proposition 2, which seeks to legalize medical marijuana in the state through a public vote. A nine-page memorandum, produced by the Salt Lake City law firm Kirton McConkie, was made available to the media Monday. It is written in response to a rebuttal by the Libertas Institute to an earlier medical marijuana analysis produced by the firm for the church. “Whether those problems and risks are worth it — or whether the Marijuana Initiative is a slippery slope to full legalization — is a policy question for voters to decide,” the new memorandum states. Attorney Alexander Dushku, who wrote the memo, said the motivation behind both analysis documents is to add insight on a complex public policy issue. “It’s critical that the people of Utah have accurate information so they can make an informed decision,” he said. The firm initially flagged provisions of Prop 2 that allow for personal growing of cannabis plants by patients under certain circumstances, that impede law enforcement activity related to marijuana, and that put Utahns in a position of violating federal law. Libertas Institute responded to each of the law firm’s 31 points of concern on its website in a lengthy post that accused Kirton McConkie, and the church by extension, of making biased assertions and misleading arguments in an attempt to diminish public support of the proposition. Libertas, a libertarian-leaning think tank affiliated with the Prop 2 campaign, said the initiative’s provisions related to personal growth of cannabis is intended as an insurance policy to prevent critics from impeding the establishment of medical marijuana dispensaries. Prop 2 allows for qualifying patients with a doctor’s recommendation to obtain a medical marijuana card and purchase cannabis products from a dispensary. If no dispensary is located within 100 miles, the initiative allows for patients to grow up to six plants for personal use. Utah is roughly 350 miles long and 270 miles wide, meaning a handful of dispensaries throughout the state would render the provision moot. According to Kirton McConkie, Libertas' description of the insurance policy raises new concerns. If, for any reason, the state fails to establish dispensaries by Jan. 1, 2021, Prop 2 would allow for any Utahn with a medical marijuana card to grow his or her own cannabis plants. “Marijuana can in fact be grown in a person’s home or in any other enclosed space that is not in an area zoned ‘exclusively’ for residential use,” the memo states. Much of the memo describes Libertas as being in agreement with the substance of Kirton McConkie’s analysis but disagreeing on the evaluation of its points as problems or risk. Dushku said the intent of his firm is not to issue value judgments on Prop 2, but to emphasize the areas of the law that should be considered relative to the perceived gains of marijuana legalization. He pointed to recent statements by John Huber, the U.S. attorney for Utah, that marijuana remains federally illegal and its users and distributors subject to potential prosecution, independent of whether Prop 2 passes.